Calling all sales folks: have you checked out the latest enterprise sales enablement tools to hit the market lately? If you haven't, it's probably due to the fact that there simply isn't enough time in the day to sift through the surplus amount of technology that exists in today's digital landscape. 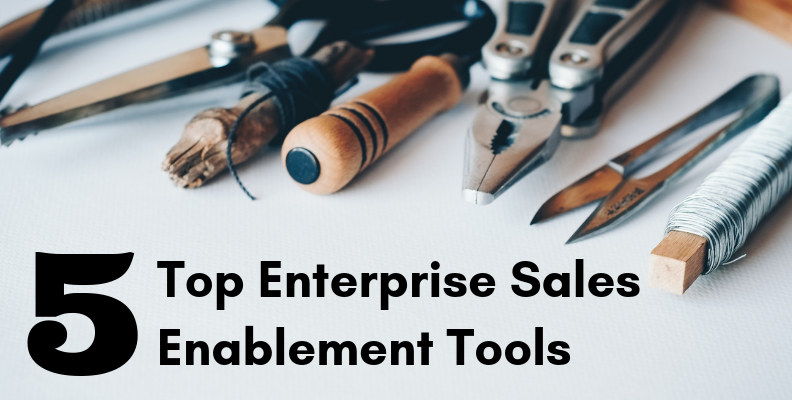 As a proponent of sales enablement for all companies no matter the shape or size, I've narrowed down a list of the top enterprise sales tools worth considering adding to your arsenal. Unlike marketing tools that are more geared toward top of the funnel marketing initiatives, these tools aim more toward bottom of the funnel activity. Keep in mind however, to get the most out of these tools you need a solid CRM to act as your foundation. In my experience, I have been most impressed by HubSpot Sales Enterprise which alone greatly empowers sales teams by offering a robust and vibrant suite of sales tools. A noteworthy and very attractive feature of Hubspot is that they continuously add awesome Connect Partners to their stronghold allowing for seamless software integration and management. Before we jump in, I challenge you to take a moment to think about what is most lacking in your current sales ecosystem. Could the main culprit be failing team collaboration, inefficient client communication, messy documentation processes, or perhaps a lack of visibility into analytics and reporting? Assuming that you have something in mind, let's dive into what each tool specializes in and see if we can find a solution. Rest assured that each of the tools outlined below will increase efficiency, expand your visibility into your current sales processes, and ensure that you remain competitive. Simply put, PandaDoc is a workplace life changer. Along with the mass amount of selling that sales reps accomplish in a day, they also have to dedicate time to follow up actions like generating quotes, proposals and contracts. This commonly feeds into a broken system of mangled word documents paired with copious amounts of revised pdf documents that are blindly scattered across personal desktops, internal drives or dislocated google drives. 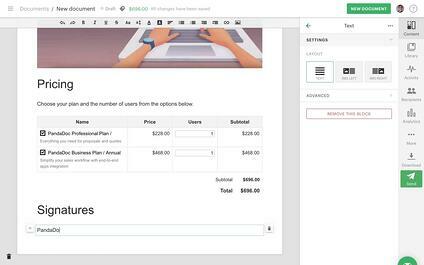 With Pandadoc you can either utilize templates or create beautiful custom documents. Better yet, you can merge CRM data to both streamline and sharpen a traditionally tedious and cumbersome process. Perhaps my favorite aspect of Pandadoc is the ability to track your documents. This feature gives you visibility into when a document is opened or viewed and even breaks down the length of time each page was viewed. This isn't just a sales pitch with ulterior motives; we here at Revenue River use PandaDoc and swear by it. As Richard Branson, founder of Virgin Group, succinctly put it, "communication is the most important skill a leader can possess". Branson seemingly nailed the art of communication a long while back, which likely attributes to his billionaire status. Unfortunately, most businesses can't say the same and perpetually suffer internal strife when it comes to communication, both company-wide and inter-departmentally. So leave it to Stewart Butterfield, CEO of Slack and similarly enlightened billionaire, to develop a piece of software that has revolutionized company communication for 70,000 teams paying for its service as of 2018. Slack, which stands for "Searchable Log of All Conversation and Knowledge", accounts for three million paid users, including 43% of Fortune 100 companies. With slack you can better communicate with members of your team by creating exclusive slack channels. This both cuts out the noise for anybody who doesn't need to be involved, and on the flip side of the coin, decreases the need for superfluous meetings by providing a channel of focused communication for anybody who should be involved. Once you take slack for a joyride and start to poke around, you learn that's there's a lot of nifty features outside of basic chat like RSS feeds, polling, and most conveniently, integrations with tons of apps including CRMs like Salesforce and HubSpot. A while back my company and I sat down for a demo with Zoom, and boy were we in for a treat. Most of us at Revenue River come from very different backgrounds, yet we all have sat through an insufferable amount of ragtag conference calls throughout our careers. 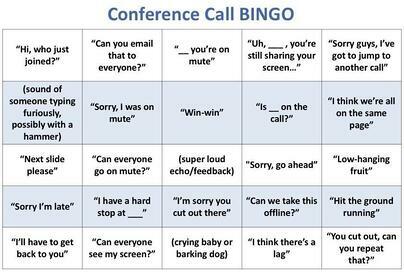 Conference call bingo ring any bells? My favorite cards are "can we take this offline?" and "sorry, I was on mute", but that's beside the point. 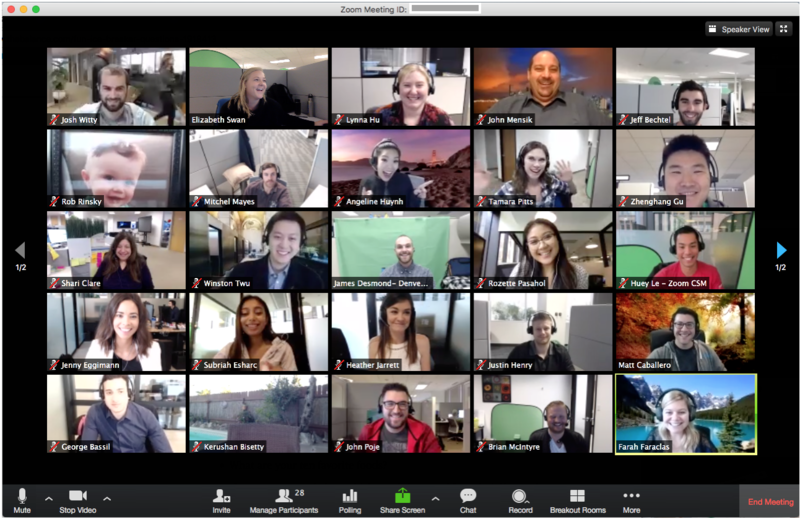 With zoom you can easily host and attend high quality video conferences, simple online meetings and group messaging. It also integrates with many third-party vendors, including a beta integration with HubSpot. What I like most about zoom is the ability to harness engagement. I'll admit, at first I wasn't gung-ho about leaving behind my discrete voice calls and showcasing my face using zoom video, but then I noticed a slight change in my relationships with my clients. Not only does it make your meetings more personable, but it also holds everyone accountable. You wouldn't multitask in an in-person meeting, and if you did I can't imagine the person or people you're meeting with would appreciate you wasting the time you both set aside in your busy schedules. In our globally connected world, video is essential, and Zoom won't disappoint. To further drive home the point that video is an advantageous tool in today's market, I also included Vidyard as a top tool to check out. Email is a struggling channel these days, so it can be difficult to stand out in your daily email correspondence. Outside of the many marketing benefits, Vidyard helps sales reps hone in on sales opportunities by humanizing their message and putting a face to their name. Different from Zoom, Vidyard allows you create snippet videos through webcam or screen recording. 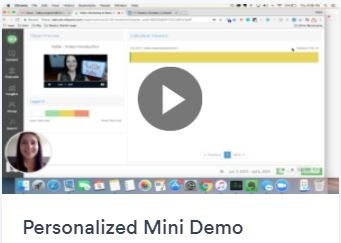 This means you can easily create personalized demos or really step your game up a notch and entirely replace archaic and lengthy black on white cold emails with far more engaging and personable outreach videos. Paired with CRM's like HubSpot, you can even track viewer engagement and see how contacts interact with your video content. Vidyard is an innovative tool to help move deals along the sales cycle and is sure way to get ahead of the curve with your competition. Check out some great examples here. If you're in the market for a cloud based phone system and call center software that natively integrates with any CRM, provides localized phone numbers and tracks team performance, Aircall is your go-to solution. It's essential that you integrate your CRM with a service like Aircall so that sales reps can truly reap the benefits of a streamlined workflow. With HubSpot CRM, all call information is automatically logged and associated with the contact, including comments and call recordings. 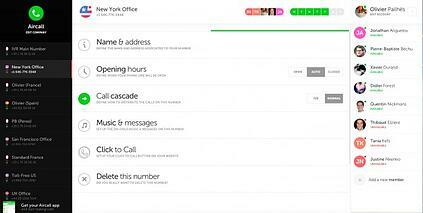 Aircall is powerful tool, so I'd suggest you take a look at this lengthy list of goodness to fully evaluate all of the features offered. All in all, Aircall will make your life tremendously easier by cutting out pesky tasks though simple automation and organizing what has become normalized chaos in sales outreach. Truth be told, there are a ton of ingenious tools out there that can help your business or team grow, but the 5 listed above are a great place to start. As a best practice for sales enablement, I stress the importance of sales reps feeling empowered to challenge their current sales system. After all, if it doesn't make their lives easier, then they won't want to use it. We can all agree that change is difficult to accept until value can be attributed. These tools will add value for your team in more ways than one, and have already proven to do so with some of the biggest enterprise level companies out there. A California native who spent five years in Austin, Texas before settling down in Denver, Katie believes the foundation of her marketing career is built upon the relationships she forms. Professionally speaking, the best of both worlds for Katie is melding her analytical prowess with her love of the people. When she’s not working, Katie is likely running or hiking out on the trails, camping, or planning future travels to see more of this beautiful world we live in.